The new Flying Fathers know they can’t escape the shadow. Some are not so sure the Flying Fathers can be relevant again. “I think the glory days are over, but they may as well try,” said the Rev. Pat Blake, 84, the longest-serving member of the original team, who played for more than 40 years. Father Perdue said encouraging more men to enter the priesthood was part of his motivation for reviving the Flying Fathers. 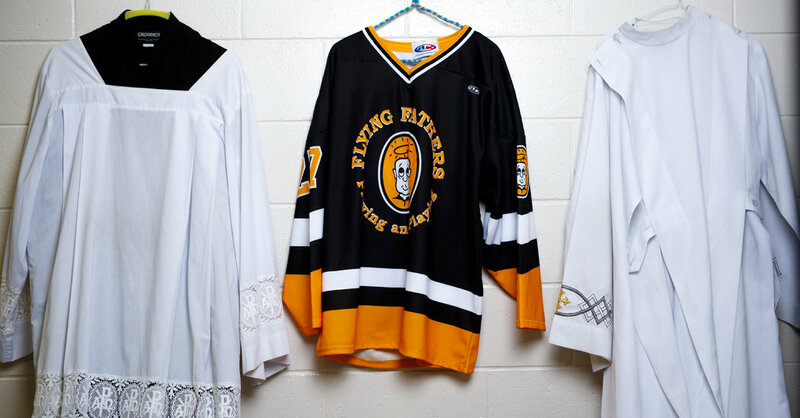 When the number of seminarians declined in the original team’s waning years, it recruited police officers and firefighters to fill out the roster.